Zeekadetkorps Rotterdam History M.S. 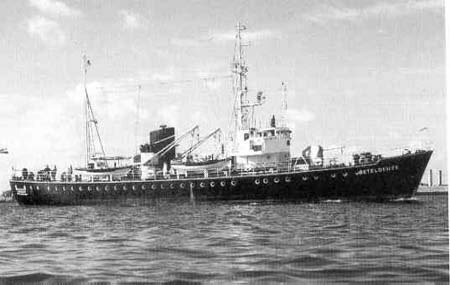 BETELGEUZE The Dutch merchant Navy and the Royal Navy has suffort a lot during WW2. 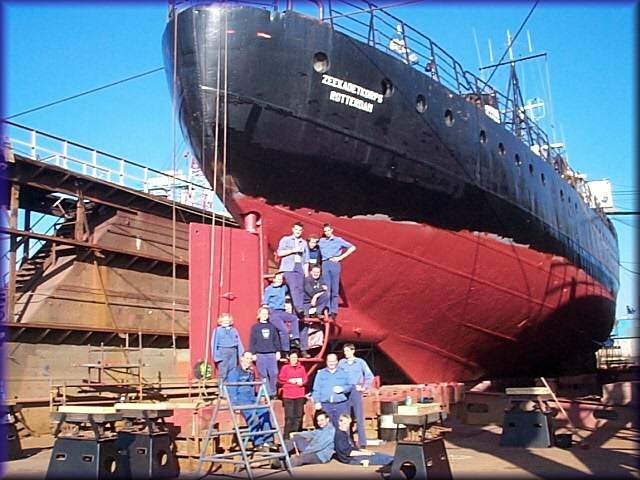 After the leberation a big job waited to rebuild the fleet. The pilots came damaged from the war. From the eightteen ships, seven survived. Replacement came by fisherboat frames. These frames were ordered at dutch shipyards by the Germans. New idea was that the names of the ships got there names from the star system. 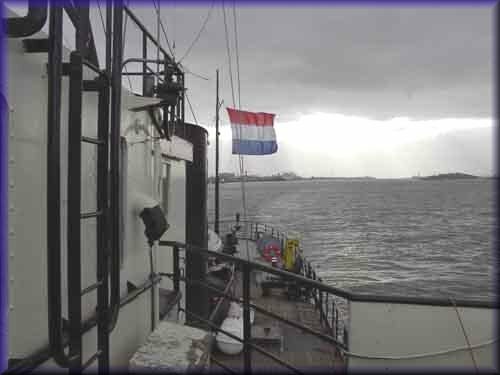 In Holland only one ship survives: t.s. 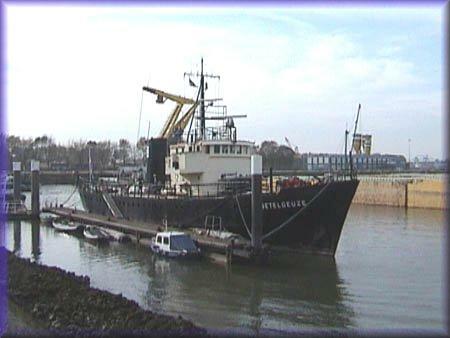 'Rigel' of the Maassluis unit. Now the pilots had thirteen vessels. This still was not enough and new ships were ordered at the Boele yard in Rotterdam. First of the serie was the 'Castor'. 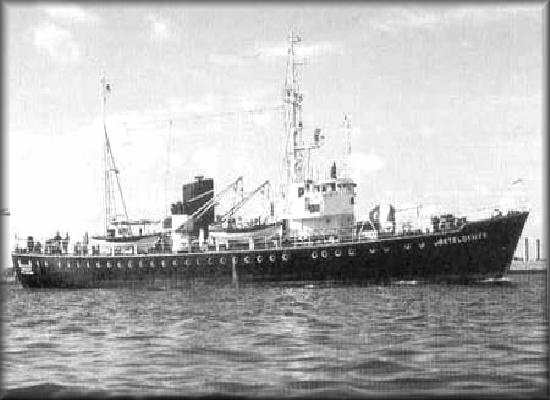 On july 29th, 1950 hand over to the ministry of the Navy. 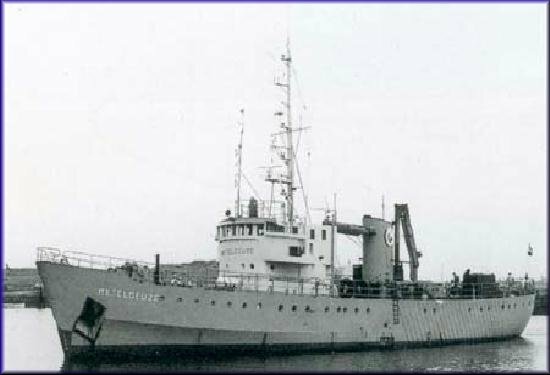 The final ship was the 'Betelgeuze'. 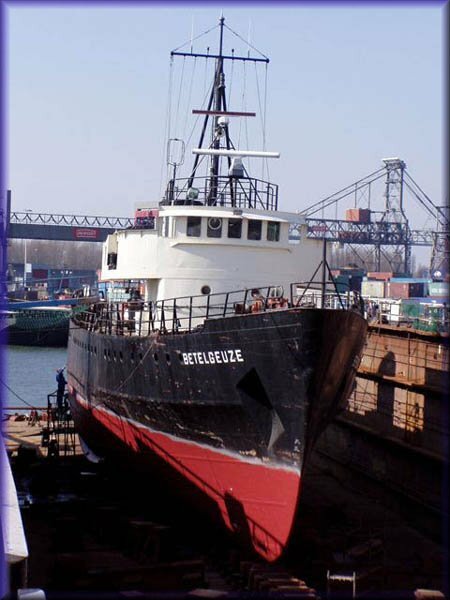 Number 919 The 'Betelgeuze' was beiing build in 1950 at the N.V. Scheepsbouwwerf Gebr. Pot with buildingnumber 919. One year later, on march 31st 1951 she was launched into the water. In october the testperiod started. On one occasion the weapons were tested. 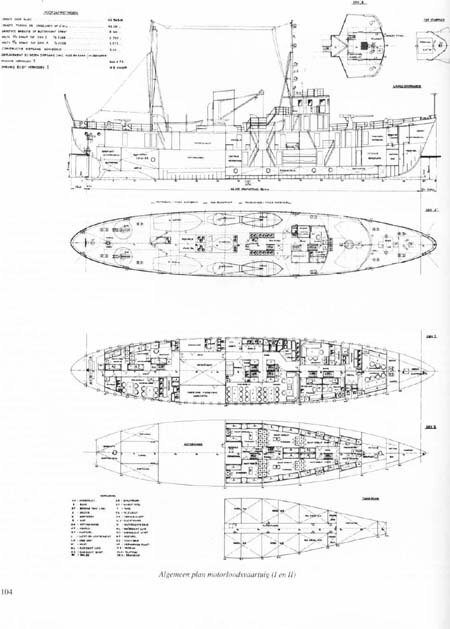 one 7.6cm canon and two 20mm guns. 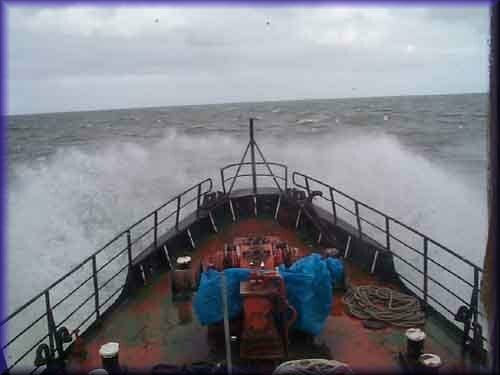 To operate these guns there was a crew of four specialy trained. The tests did not go according the plan. A toilot broke at the deck and some doors were blown away. For the doors there was a simple sullusion; open them before using the guns. The maximum speed was measured at 13,2 miles. 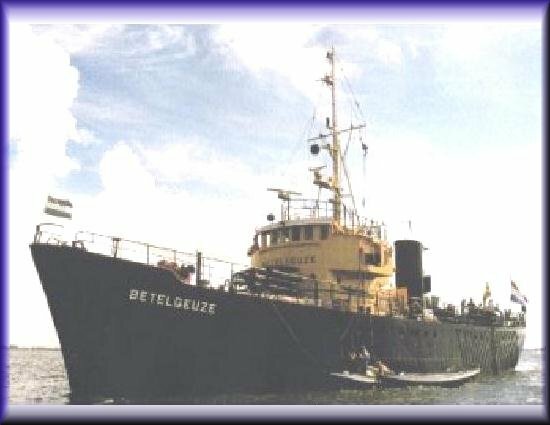 Monday october 29th 1951 the 'Betelgeuze' was taken over by the pilots at the warf and put on duty in Hoek of Holland.